Simply making an Olympic team is often considered among the ultimate athletic accomplishments. It signifies that you have reached the highest level of competition in your sport. But in some cases athletes have competed at both the Summer and Winter Olympics, which has to be an even rarer feat. How common is it? Actually, it has happened 128 times. And it has been done in a dizzying array of 47 different sport combinations. By far the most common both season Olympians are in athletics (track & field) and bobsledding, with 40 Olympians competing in this combination. The first to do that was the Belgian Max Houben, who competed in athletics in 1920 and bobsledding in 1928-48. He was followed by Austrian Johann Baptist Gudenus, a 1932-36 bobsledder and Olympian in athletics in 1936. There was then a large gap before this occurred again, with Britain Colin Campbell (1968/72 ATH, 1976 BOB), and Swiss Edy Hubacher (1968 ATH, 1972 BOB). In 1980 at Lake Placid Willie Davenport competed in bobsledding for the United States. A four-time Olympian (1964-76), and gold medalist in the high hurdles in 1968, Davenport was recruited to bobsledding for his leg strength and drive, to help with the push starts. It began a trend of top track & field athletes competing in bobsled. The best known was likely East German 1988 decathlon silver medalist Torsten Voss, who pushed a bob at Nagano in 1998 for Germany. From the United States, another famous athlete who competed in Olympic bobsledding (1992) was NFL running back Herschel Walker. Walker was a top track & field in high school but never competed in the Summer Olympics. Multiple athletics stars have been recruited since, with the United States possibly including Lolo Jones and Lauryn Williams on their women’s bobsled squads for Sochi. 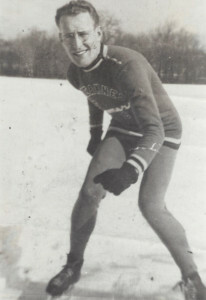 Prior to this trend of athletics/bobsledding doubles, the most common both season sport double was cycling and speedskating, and it is still the second most common with 16 athletes having accomplished it. This combination occurred because the muscles and the training for both sports is similar, and athletes would often use the “other” sport for off-season training. Two cyclists / speedskaters have won Olympic medals in both sports – Canadian Clara Hughes and German Christa Rothenburger-Luding. No athlete / bobsledder has yet pulled off the Winter / Summer medal double. This has been done by other athletes – notably Eddie Eagan, an American who won a gold medal in 1920 boxing and 1932 bobsledding, the only Olympian to have won gold medals at both the Winter and Summer Olympics. Norwegian Jacob Tullin Thams won Olympic medals in both ski jumping and sailing – there’s a combination for you. It was even rarer for athletes to compete in the Summer and Winter Olympics in the same year, although that can no longer occur. This was done 41 times. Most notable was the accomplishment of Japanese female cyclist / speedskater Seiko Hashimoto who competed at the Winter and Summer Olympics in 1988 and 1992. The only other Olympian to have done this twice was the Swiss Charles Stoffel, who, in the days of more gentlemanly bobsled competition, competed in equestrian and bobsledding in 1924 and 1928. How many will add to this list in Sochi? Certainly there will be a few athlete / bobsledders. Anybody else? Alex, the swimmers were Karl Schäfer (Austria, also figure skater), Martial Van Schelle (Belgium, also bobsledder) and Ari Guðmundsson (Iceland, also ski jumper). 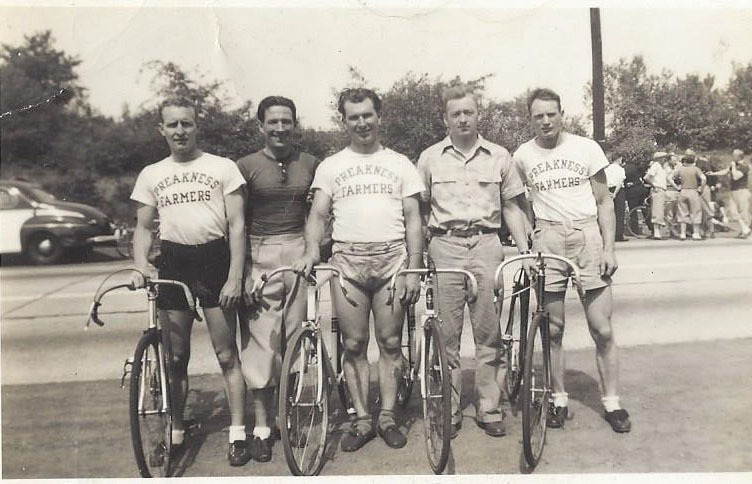 Among those 4 have won a medal: Van Hege (Antwerp 1920, gold football), Houben (Saint-Moritz 1948, silver bobsleigh), Tom (Antwep 1920 and Paris 1924, silver fencing) and Casteleyns (Berlin 1936, bronze water-polo). You’re correct but we didn’t say that Houben was the only Belgian. We have the entire list. One additional highlight you haven’t mentioned is that only 1 athlete has ever won multiple medals in the Summer Olympics and multiple medals in the Winter Olympics. That’s Clara Hughes (Canada), who won 2 bronze medals in cycling, and 4 medals in speed skating.